Drones have become big business in recent years, and while there has been a lot of talk about the potential use for drones domestically, there is a lot of apprehension about such a thing happening. On Friday, a barrier was broken however as the first drone ever approved by the FAA took flight to deliver medication to a clinic in a rural part of Virginia. The clinic was a pop-up that shows up one weekend a year at the county fairgrounds. People were camped out in their cars to receive care. To drive the medicine by car would have taken 90 minutes of travel on poor roads, which were mostly blocked by citizens waiting to receive care at the clinic. 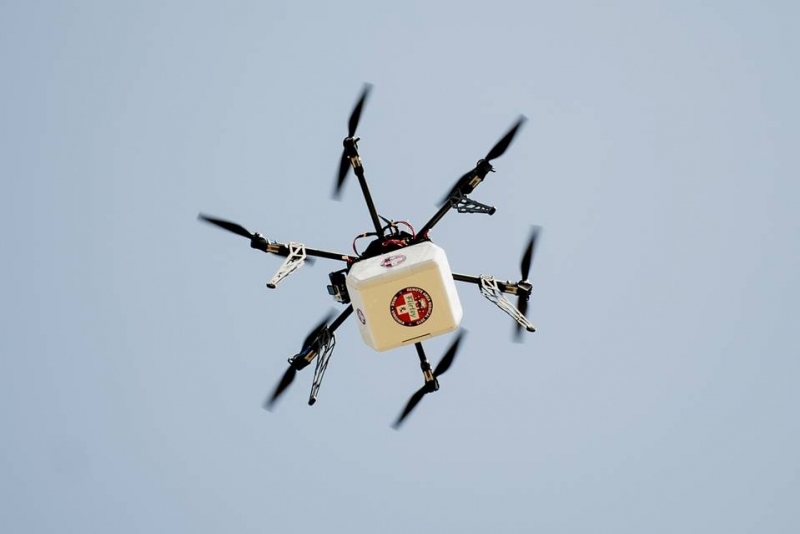 By using the drone, the medicine was delivered much more quickly and easily. The drone was operated by startup company Flirtey, who already makes similar deliveries in New Zealand. CEO Matthew Sweeney said this event would break a psychological barrier between the public and drones that would lead to more use in the future. It's a long way from Amazon's famous desire for drone delivery, but the proof of concept is difficult to ignore. In areas where important supplies are needed but are difficult to reach the drone can be successful. A drone in rural Virginia is not the same thing as a drone flying over downtown Seattle, but this is how new ideas gradually become accepted. We may not be quite as far from regular drone deliveries as we thought.